If you thought that firearms legislation in Australia couldn't get any more ridiculous, you'd be wrong! Tasmanian Police have sent out out a communication stating that any firearm that looks scary would be classified as a Schedule 1 Firearm and would not be registerable. This applies to all firearm categories. Lets look at what a Schedule 1 firearm is and how they are going to use it to screw over the licensed, law abiding shooter. Any machine gun, sub-machine gun or other firearm capable of propelling projectiles in rapid succession during one pressure of the trigger. Any ex-military firearm that is a firearm in relation to which a firearm license may not be issued. The presence of one or more of the above features on a firearm will result in an assessment and may result in it being categorized as a prohibited firearm. To assist with interpretation of how such an assessment and categorization may occur, examples are provided below, depicting firearms that are considered to fall under the classification of Schedule 1(6). Now lets look at their example of a firearm that would be categorized as a Schedule 1 firearm, and one that isn't. Above is the Ruger Precision Rifle. It is a standard bolt action rifle that has many features that shooters like including an adjustable ergonomic stock, ambidextrous safety catch, pistol grip that gives better control, detachable magazine and a rail system that allows for the fitting of torches and night vision/thermal sighting equipment. The proposed legislative changes will make this rifle illegal to own because someone thinks it looks like a machine gun. The rifle above is the Ruger American Predator rifle. 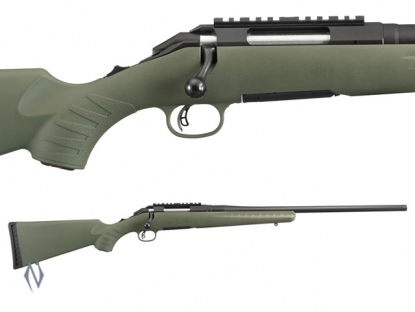 It is a standard bolt action rifle that uses the exact same action as the Ruger Precision Rifle. It also has a detachable magazine. The only difference is that it does not have an adjustable ergonomic stock and it does not have the pistol grip and barrel shroud. It functions in the exact same manner as the Ruger Precision Rifle, yet it will be 100% legal to own. This seems to be legislation just for the hell of it. It's not going to make any difference in the real world except to the licensed law abiding citizens. Who is it that makes this crap up? The mentality of these gun grabbers is just ridiculous. It's just as stupid as banning a HSV performance car because it has aerodynamic styling and more comfortable seats than the base model. It is being proposed that all Australian states adopt these standards as a part of the NFA review. The talk suggests that those who already own these firearms will be forced into another compensated confiscation scheme, aka buyback. If you don't comply, its off to jail for you. A leaked 2005 document from the Firearms Policy Working Group (FPWG) further confirms that police and un-elected bureaucrats have been conspiring in secret to ban more of our guns. We have been in possession of this document for a while and it seemed like it had no support from the various state governments, until now. The push for these changes is coming from the various state police representatives and the Attorney General's Department. We also believe that changes to Customs legislation will be used as another method of restricting certain firearms in much the same way the 7 shot Adler was. This is a sneaky way of restricting a firearm that is legal to possess under current laws. Their plan is to re-categorize existing Cat A&B rifles that they deem to be a risk to public safety, or if they have a "military style" appearance. It doesn't matter that these firearms aren't used by licensed gun owners in the commission of crimes. Whatever happened to evidence based policy? 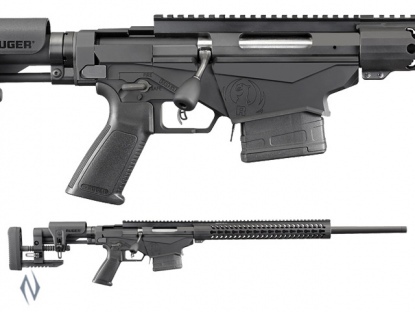 Rifles that have a 'tactical' appearance like the Ruger Precision Rifle, Barrett rifles, Warwick WFA1 straight pull etc. Basically any black rifle. There are many more in the list including "belt fed shotguns". It's pretty darn obvious that these changes are proposed by people that have no idea when it comes to firearms. The FWPG meet and discuss changes to the National Firearms Agreement in secret and their agenda is hidden. There are consultations with industry and firearms groups but it's nothing more than lip service. Prominent groups such as Shooters Union Australia and Dr Samara McPhedran have all lodged freedom of information requests at both state and federal levels seeking the FPWG meeting minutes and draft changes to the NFA, but have been refused on multiple occasions. This shadowy group is hiding behind "national security" clauses in the FOI act to prevent the information being released. The Lindt Cafe siege and the threat of terrorism in general is going to be used as the justification to push further restrictions against us, the proven, law abiding citizens. No amount of legislation will stop those that are evil or criminally insane, and punishing those that obey the law will not make one iota of difference. How do we know this? Because Man Monis, the Sydney siege gunman was unlicensed and used an already illegal pump action shotgun that was illegally modified. Contact your State & Federal MP's and let them know that you are unwilling to accept these legislative changes, and that you will actively campaign against them if they support these ridiculous changes. Thanks to Nioa Australia for permission to use the images in the above article. Please support The Firearm Adventures by clicking on an Google adsense ad. Alternatively, if you make a purchase from TFA Affiliates Zahal or Brownells using TFA as your gateway, A small portion of the sale comes back to TFA and assists to keep the site alive. I only ever affiliate with sites that I use personally. Good blog once again mate. The only point I will pick you up on is the fact that the Ruger American Predator by definition also has a pistol grip so would also be discounted for licensing. The rugers pistol grip is the 6 style as opposed to the 1911 style grip. The push is on and I believe that the Federal Govt. will be talking to the cross benchers before they decide which version of the NFA review to release. Thanks for the comments Dusty. They will only be going for the full pistol grip style rather than those generally found on a monte carlo style stock. It doesn't matter what stock or configuration a rifle is in, it shouldn't be banned for appearance sake. This is idiotic legislation made by idiotic Numbsculls. What is the Shooters Fishers & Farmers party doing about it ? Now is the time for the SFFP, and the SSAA-LA, and the SSAA to prove their worth, or are you going down with the sinking ship. GET OFF YOUR BUTTS & DO SOMETHING !!!! One area that shooting groups could focus on is an advertising campaign that attempts to 'normalize' our sport. We know what we do is normal, but the media doesnt want to be a part of it. With the success of Miss Skinner at the Rio Olympics fresh in the minds of every Australian, now is the time to strike whilst the iron is still hot. Representative groups need to motivate their members to become extremely politically active. This is the main reason why the NRA is so effective in the USA. Small steps I know, but it is a giant leap in the right direction. Just doing what has to be done. A cool page,I don't know where the adds are to click on.Enjoyed the Pedersoli clip,a lot of mates shoot black powder at Western Action,I have only tried it a few times but it was fun.